As the temperature in Phnom Penh crested 39 degrees celcius on Tuesday, a young British couple stepped into the air-conditioned embrace of Burger King. He entered a scene that would be familiar in cities from Bristol to Beijing: a father feeding his son french fries, a couple silently eating a Whopper, a uniformed attendant tucking errant chairs under a table. 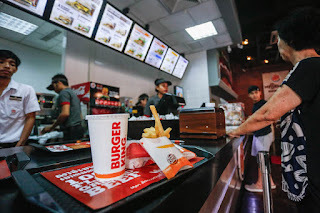 Launh Chhay, a 28-year-old businessman, said he had his first bite of Burger King about a year ago to “try a new taste” and now comes to the outlet on Street 51 five or six times a month. As increasing numbers of Cambodians like Mr. Chhay discover the quick, rich treats of fast-food franchises springing up across the country, health experts warn that waistlines and rates of related diseases are likely to keep pace. After establishing an early foothold in Phnom Penh’s foreigner-friendly Boeng Keng Kang 1 commune, many franchises are expanding beyond the neighborhood. 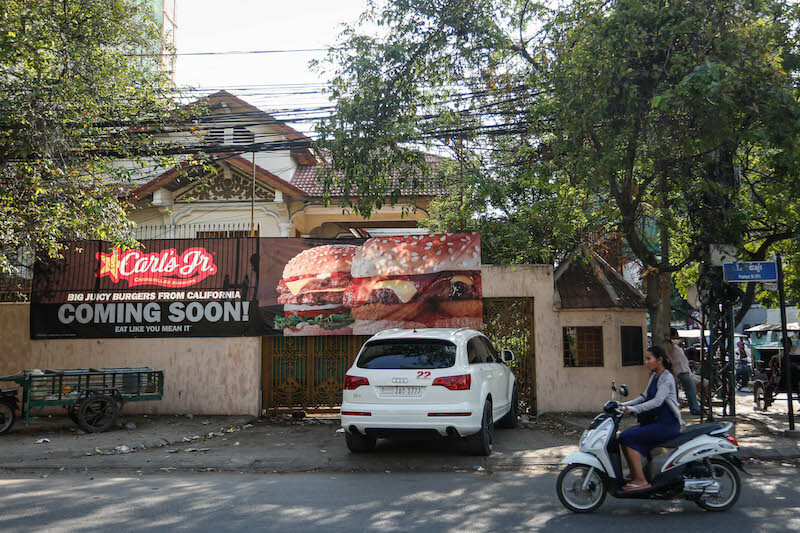 Burger King is adding three new locations to its existing nine, including in Sihanoukville and Siem Reap City, according to Burger King Cambodia assistant chairman Thon Serei. 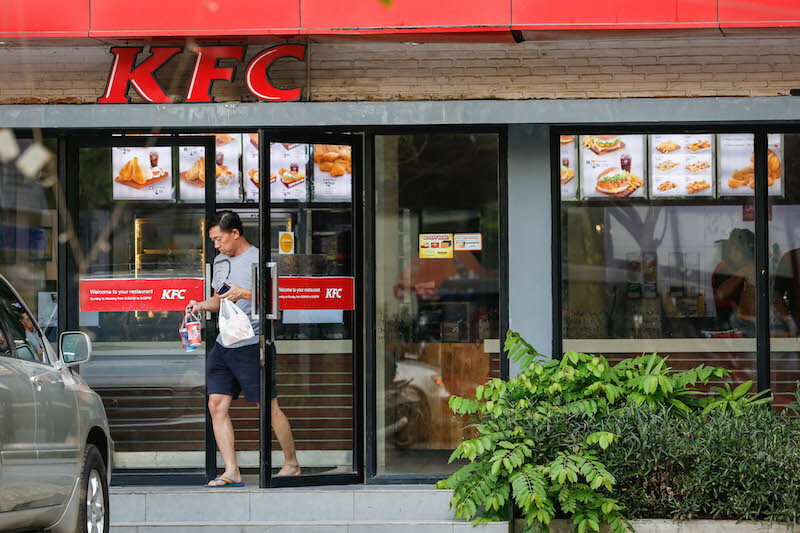 KFC is mulling new branches in the same two cities, as well as in Battambang and Kompong Cham, said Benjamin Jerome, general manager of local affiliate Kampuchea Food Corporation. To reach new customers in emerging economies, fast-food firms peddle prestige as much as they do french fries, said Clifford Shultz II, a professor at Loyola University Chicago’s Quinlan School of Business who has studied marketing in the region. This novelty is still fresh in Cambodia, which offers franchises “easy access in a high growth region with positive demographics,” said Douglas Clayton, CEO of private equity firm Leopard Capital. Data from researchers and government sources bears out these fears. Lifestyle and dietary changes wrought by globalization lead people to exercise less and eat more “energy-dense foods that are high in fat, sugar and salt,” according to Dr. Khim Sam Ath, technical officer for noncommunicable diseases at the World Health Organization (WHO). In Cambodia, the rates of noncommunicable diseases and the economy are growing in lockstep. Diabetes, cancer, heart disease and respiratory illnesses caused 43 percent of deaths in Cambodia in 2014—up from 35 percent in 2011 —and rates are projected to rise further, according to data from the WHO and Ministry of Health. Diabetes, heart disease and some forms of cancer have been linked to poor diet. A study published this month in the journal Nutrients shows that for the first time, the number of overweight women in Cambodia is greater than that of underweight women. 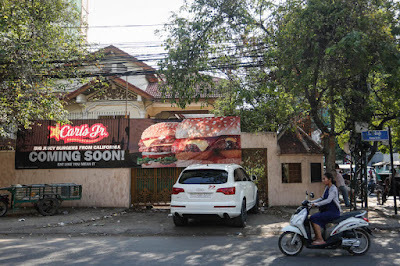 Local representatives of Burger King and Krispy Kreme—which is set to open its first outlet in Cambodia later this month—acknowledged that their products were not healthy, but said it was up to customers to show restraint. Mr. Jerome of KFC said the franchise’s offerings were more fresh and hygienic than most food available at local restaurants. “We are giving them one of the better options,” he said. Although fast food isn’t the sole cause of rising rates of diseases, the data is particularly striking in a country where less than a third of children between the ages of 6 and 23 months met WHO standards for a “minimum acceptable diet,” according to research from Hellen Keller International (HKI). Reversing the situation should be prioritized because “over nutrition during childhood is thought to be linked with the risk of nutrition-related non-communicable diseases such as diabetes later on in life,” HKI country director Keith Porter said in an email. Sugary diets are also partially to blame for a “frightening” dental situation, said Dr. Bethy Turton of Phnom Penh’s Roomchang Dental Hospital, with Cambodian children showing the most decayed teeth in the region. Sweet and processed foods “basically ruins the metabolism and from an oral health perspective, those foods select for ‘bad bacteria’ to dominate at the surface of the teeth,” she said in an email. Some argue that regulations could push consumers in the right direction when faced with the choice between fast food and healthier alternatives. Maurits van Pelt, director of Phnom Penh’s MoPoTsyo Patient Information Center, pointed to Thailand’s proposed sugar tax—which, according to the Bangkok Post, would raise the cost of soft drinks by nearly 25 percent—as an example worth replicating in Cambodia. “It would generate money, which could then be used to help people get treatment and finance these costs, which no one wants to pay for,” Mr. Van Pelt said. But taxes might not be enough to keep Mr. Chhay away from his bacon cheeseburger with fries. “Sometimes, I miss the place because I miss the taste,” he said with a guilty smile.